China’s Ministry of Public Security announced the names of eight Uyghur militants charged with Olympic games-related terrorist activities on October 21. 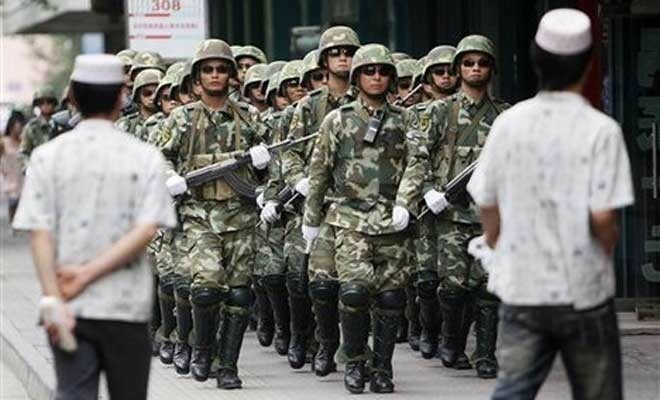 While no actual terrorist incidents were reported during the August games, a Ministry spokesman claimed all the various Uyghur plots were foiled by Chinese security forces (Xinhua, October 21). 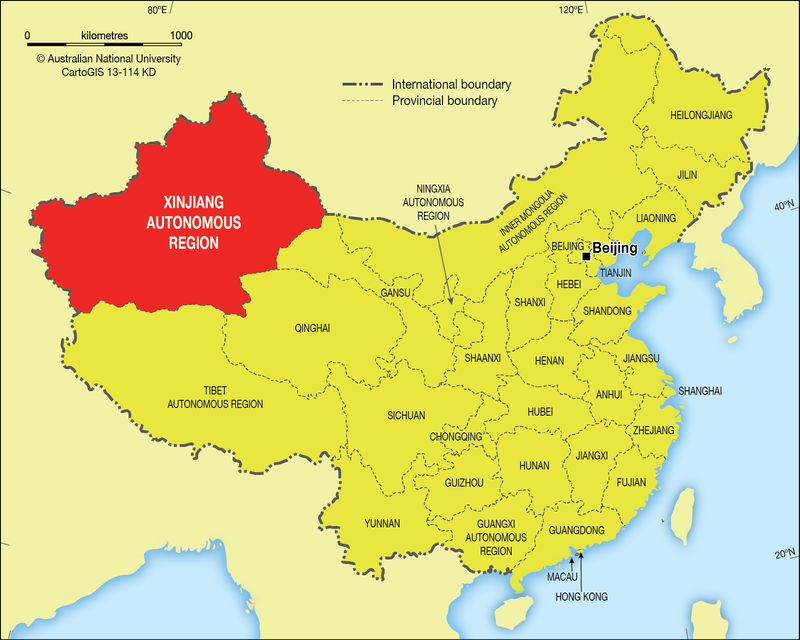 The suspects are alleged to be members of the Eastern Turkistan Islamic Movement (ETIM -East Turkistan is the Uyghur term for the western Chinese province of Xinjiang). In the weeks prior to the Olympics, there were video threats from a previously unknown Uyghur Muslim group called the Turkistan Islamic Party (TIP), which claimed responsibility for a number of older incidents they were clearly not involved in before making outlandish threats of massive attacks on Olympic facilities using conventional and chemical weapons. The TIP has not been heard from since. Though a series of bombings and attacks occurred in Xinjiang in August, none were related to the Olympics (except through timing) and no claim of responsibility was issued by the TIP or ETIM. There has been little ETIM activity since the death of its leader Hasan Mahsum at the hands of Pakistani troops in October 2003. According to a 2002 Chinese government report that gave exaggerated figures for the size of the movement, the ETIM received training in camps run by al-Qaeda or the Islamic Movement of Uzbekistan (IMU) in Afghanistan prior to 9/11. 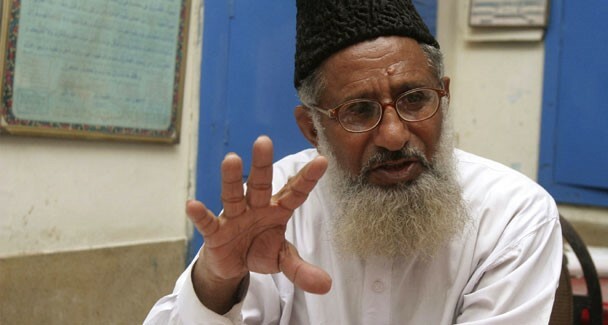 Chinese security forces claimed Hasan Mahsum received funding from Osama bin Laden, though the late ETIM leader denied any connection to al-Qaeda. The movement received a U.S. designation as a terrorist organization after intense diplomatic pressure from China in 2002. The new report charges Memtimin Memet (“Memetiming Memeti” in the Xinhua transliteration) with being the successor of Hasan Mahsum as leader of the ETIM. Memet is charged with organizing fundraising and military training before issuing orders in January for terrorist attacks on the Beijing Olympics. Another alleged militant, Emet Yaqub (“Emeti Yaquf”), seems to be identified as the “Commander Seyfullah” who issued the TIP video threat that was dated July 23 and appeared on the U.S. IntelCenter website on July 25. The Ministry document makes no mention of TIP and cites only a “June 2008” video that threatened the Olympic games with chemical and biological weapons. Most of the suspects are reported to have trained with explosives and poisons, though no actual attacks are claimed. The Ministry document is extremely vague on locations, dates and other details of the terrorist plots, but attempts to compensate for this with less relevant details, such as aliases, birthdays, education levels and official identification numbers. The report avoids identifying locations for the ETIM’s external activities, referring only to “a South Asian country” and “a certain Middle East country.” The “South Asian country” is most likely Pakistan, which is currently seeking financial and nuclear aid from Beijing. China is seeking international support in apprehending and extraditing the ETIM suspects, who are believed to be out of the country. The release of the statement comes as China is lobbying the U.S. to “avoid double standards” and extradite 17 Uyghurs currently held in the Guantanamo Bay prison (Xinhua, October 21; Hsin Pao [Hong Kong], October 23). The men have been found innocent of terrorist activities and were recently ordered released by a court order, though the U.S. administration is appealing the ruling (AP, October 9; LA Times, October 8). Uyghur expatriates claim China is mounting a new campaign of repression against Xinjiang’s Uyghurs now that the Olympic games are over (Sherqiy Turkistan Axbarat Merkizi [East Turkistan Information Center, Munich], October 15). Nine Chinese oil workers were abducted on October 18 from a small oil field in the South Kordofan region of Sudan. It was another example of the insecurity that plagues oil operations in Sudan and is the third abduction of petroleum industry employees this year. The men are employees of Chinese oil giant China National Petroleum Corporation (CNPC) and were doing contract work at the time for the Greater Nile Petroleum Operating Company (GNPOC), a consortium made up of Chinese, Malaysian, Indian and Sudanese elements (al-Jazeera, October 19; Reuters, October 19; Sudan Tribune, October 19). Security forces are reported to be scouring the area but have been hampered by rain and the thick bush and forest of the area. Sudan and China have agreed to joint efforts to obtain the release of the kidnapped oil workers (SUNA, October 20). A crisis cell has been formed within the Chinese embassy to deal with the issue (Sudan Vision, October 20). A spokesman for Sudan’s Ministry of Foreign Affairs accused the Justice and Equality Movement (JEM), a Darfur rebel group with national ambitions, of carrying out the abductions (SUNA, October 20). The Chinese embassy has not yet had any contact with the kidnappers (AFP, October 20). 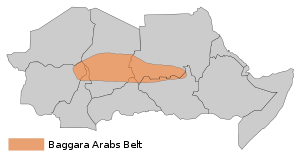 Despite government claims of JEM involvement, there is a strong possibility the kidnappers are members of the local Arab Messiriya tribe. Part of the cattle-owning Baqqara Arab group of western Sudan, the Messiriya are angry over the inequitable distribution of jobs and oil wealth from industry facilities located on their traditional grazing lands. JEM claims the Messiriya have joined their operations against Kordofan oil facilities in the past in reaction to a government disarmament campaign (see Terrorism Monitor, August 11). Four Indian oil workers and their Sudanese driver were kidnapped by the Messiriya last May (Sudan Tribune, July 27). Though it has warned Chinese oil companies to leave the region in the past, JEM has neither confirmed nor denied participation in the current kidnapping – JEM units are often far-flung and operate with a great deal of autonomy. China’s efforts to fuel its rapid economic growth have led it into some high-risk areas where social and political instability have dissuaded others from working. Two Chinese engineers were kidnapped in Pakistan by the Taliban and have been held in the Swat valley since August 29. In a recent escape attempt one man reached a government checkpoint while the other fractured his leg and was recaptured by the Taliban (Geo TV, October 18). The Kordofan abductions come at an embarrassing moment for the Khartoum government. Chinese special envoy to Africa Liu Guijin is scheduled to arrive on Friday to discuss the Darfur crisis. 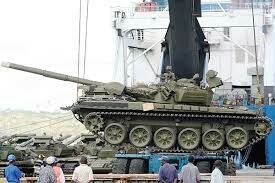 Chinese support for Khartoum is beginning to wear at its international credibility and there are reports that China has advised Sudan’s President Omar al-Bashir to begin cooperating with the International Criminal Court (ICC), which has recently indicted him for war crimes in Darfur (Sudan Tribune, October 18). China has also recently opened a consulate in the southern capital of Juba in an effort to develop relations with the oil-rich Government of South Sudan (GoSS) as it prepares for an independence referendum in 2011. In a surprising move, a group of Pakistani clerics best known for their hardline views on Islam’s role in society have gathered to issue a fatwa condemning suicide-bombing and the current trend of individuals or organizations declaring jihad against the state at any moment they feel appropriate. Brought together under the umbrella of the Mutahidda Ulema Council (MUC), the conference agreed “only the state has the authority to call for jihad, and individuals or groups are not authorized to do that” (Daily Times [Lahore], October 16). The meeting brought together an unlikely assemblage of Pakistani religious leaders. The council included representatives from the Jamaat Ahl-e-Sunnat (a Barelvi Sunni movement largely based on the non-Pashtun population of the Punjab) and their ideological opponents in the conservative Deobandi Jamaat Ulema-e Islam. The Shi’a Ahl-e Tashee was present, as was the Sipah-e Sahaba, a banned radical Sunni organization involved in terrorist violence against Shi’a. Representatives from minority Sunni groups like the Ahl-e Hadith and Jamaat-e Islami were also present. The conference was hosted in Lahore by the Jamia Naeemia (led by Maulana Sarfaraz Naeemi), a group known for its harsh criticism of perceived government failures to implement strict applications of Islam in the social and political spheres of Pakistan. Conference delegates were unanimous in their rejection of suicide-bombing as haram (forbidden) and najaaiz (illegitimate), though the statement added: “It seems as if the government is covertly backing these attacks so that patriotic citizens may not assemble and launch a mass drive for the defense of the country” (The News [Islamabad], October 14). While moderate Islamic leaders like Mufti Munibur Rehman have issued fatwas against suicide-bombing in the past, few members of the MUC group of clerics have any affiliation to “moderate” trends of Islamic interpretation (Daily Times, October 16). Despite the criticism of the government, the clerics’ condemnation of suicide bombing was welcomed by Pakistan’s Interior advisor, Rehman Malik. The conference also issued a number of demands on the Islamabad government, including an immediate stop to military operations in the Bajaur and Swat frontier districts, an alliance between Pakistan and Iran, and the public revelation of any secret deals made between ex-President Pervez Musharraf and the United States. The clerics condemned the recent U.S. nuclear trade deal with India as dangerous to Pakistan, which has just completed its own deal for Chinese nuclear assistance (Press Trust of India, October 2; Daily Times, October 16; October 19). Tribal lashkar-s (ad-hoc military formations) have been formed in the frontier region in recent weeks to combat Taliban militants, but since the MUC meeting the Taliban have struck back with deadly suicide attacks against tribal jirga-s (assemblies) convened to discuss eliminating the militants (Geo TV, October 18; KUNA, October 19). The attacks suggest that even a fatwa issued by hardline Islamists is now insufficient to slow the rapid escalation of violence in the tribal regions. 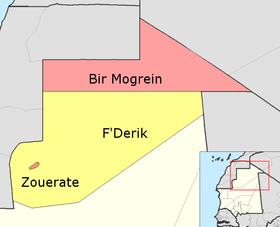 Eleven soldiers and one civilian were abducted by AQIM after a September 15 ambush in the Tourin area of Mauritania’s Tiris Zemmour province, near the iron-ore mining town of Zouerate. The missing men were found decapitated and mutilated in a desert area on September 20 (AFP, September 21). The 12 men are believed to have been killed by Algerian elements of al-Qaeda in the Islamic Maghreb (AQIM) (Al-Akhbar [Nouakchott], September 21). The militants seized two military vehicles, weapons and a large quantity of ammunition. Despite being over 500 miles from the closest border at the time of the attack, the militants managed to evade patrols and aerial surveillance in making their escape (AFP, September 17). Mauritania’s president, Sidi Mohamed Ould Cheikh Abdellahi, was deposed by a military coup on August 6. He and Prime Minister Yahya Ould Ahmad Waghf remain under house arrest. The coup leader was General Mohamed Ould Abdel Aziz, who claims Abdallahi was negotiating with Islamist militants, going so far as to offer them positions in the government in return for an end to political violence. A Mauritanian newspaper said sources within the military reported that U.S. intelligence informed the Mauritanian command that vehicles carrying armed militants were in Tiris Zemmour province. To the displeasure of the Americans, the Mauritanian military failed to take the information seriously (Al-Akhbar, September 16). AQIM claimed responsibility for the attack in a September 23 internet message (al-Fajr Media Center, September 23). The statement said the attackers were under the command of Shaykh Abd al-Hamid Abu Zaid. The operation was designed to “avenge the oppressed prisoners in the Mauritanian prisons” and urged members of the military to “repent” and abandon “this hireling army of the Jews and the Christians.” Mauritania is one of only three Arab nations to have diplomatic relations with the state of Israel. In a video entitled “A Message to our Ummah in the Islamic Maghreb,” AQIM leader Abu Musab Abdul Wadud (a.k.a. 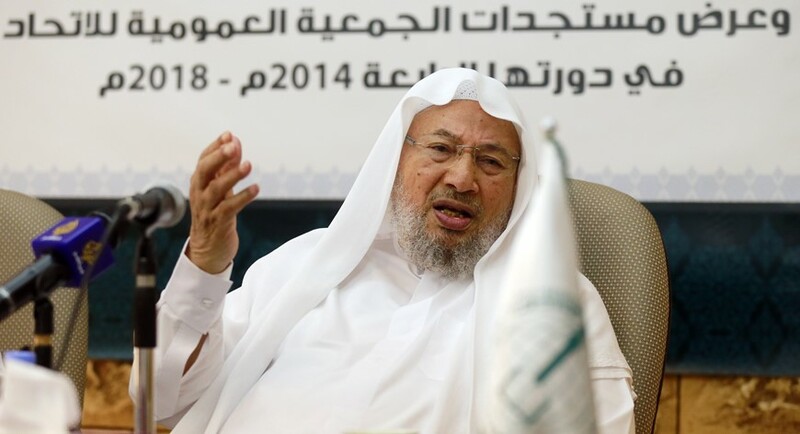 Abdelmalik Droukdel) called for jihad against Mauritania’s government, claiming that Mauritania “has become a nest of foreign intelligence, at its head the [Israeli] Mossad… Does [Mauritania] think that the Al-Qaeda Organization in the Lands of the Islamic Maghreb will accept this situation and leave Israel in peace inside its embassy, throwing off its venom and plotting and fomenting coups and inciting the military against the sons of the nation, the best of its youths? ” (Al-Fajr Media Center, September 21). The imprisoned leader of al-Qaeda in Mauritania, Khadim Ould Saman, issued a statement in August opposing the coup: “The coup that established the new regime is undoubtedly authored by the infidel West… It is then our duty to launch a holy war against it” (Taqadoumy [Nouakchott], August 30). The militant leader is facing charges in connection with the massacre of four French civilians last year. Mauritania’s Communications Minister tried to downplay the threat while calling for international assistance: “What’s happening are pretty major incidents that are, however, taking place in the far north and as you know very well what happens in Siberia doesn’t necessary bother people in Moscow. That said, I would very much like the international community to assume its role of solidarity with us because this danger doesn’t only affect Mauritania. It’s a danger to the whole world” (Radio France Internationale, September 23). 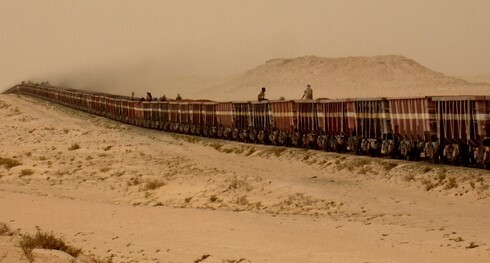 Morocco responded quickly by sending a team of military engineers and technical experts from the Gendarmerie to help identify weaknesses in Mauritania’s border security (Assabah [Casablanca], September 23).